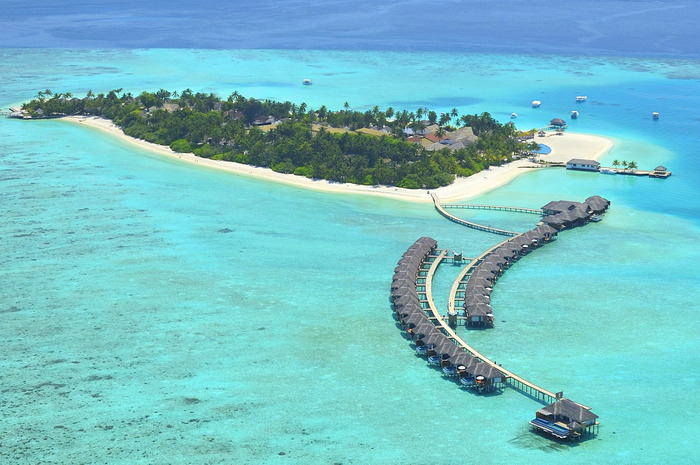 If you are dreaming of an exclusive resort with picture-perfect views, the private island of Velassaru is the perfect location for a serene Maldivian wedding. 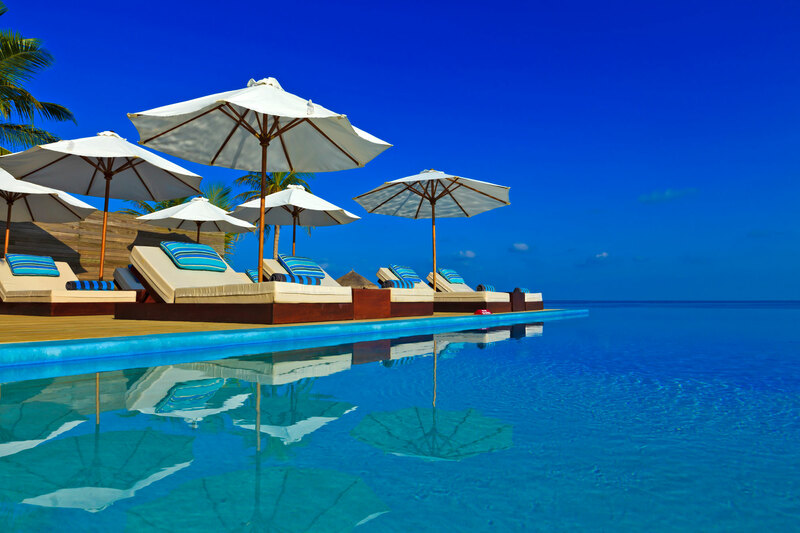 A tropical hideaway in the South Malé Atoll, this luxury island features a stunning turquoise lagoon, as well as one of the region’s most dazzling and pristine beaches. 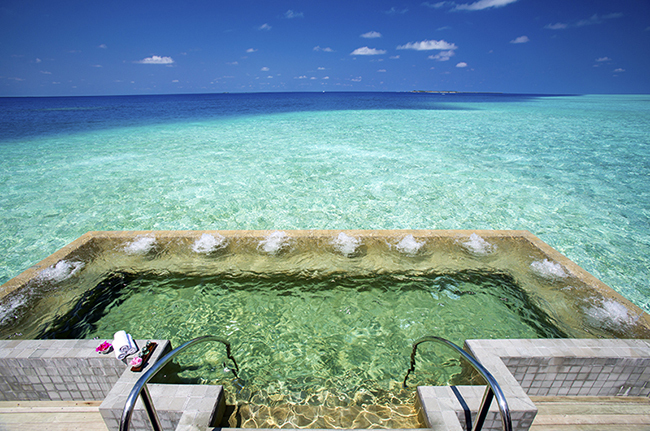 Velassaru’s exceptional setting makes it the perfect spot for a simple and romantic beach wedding. Make your special day extraordinary by conducting your blessing at a serene beachfront location, right by the water’s edge. 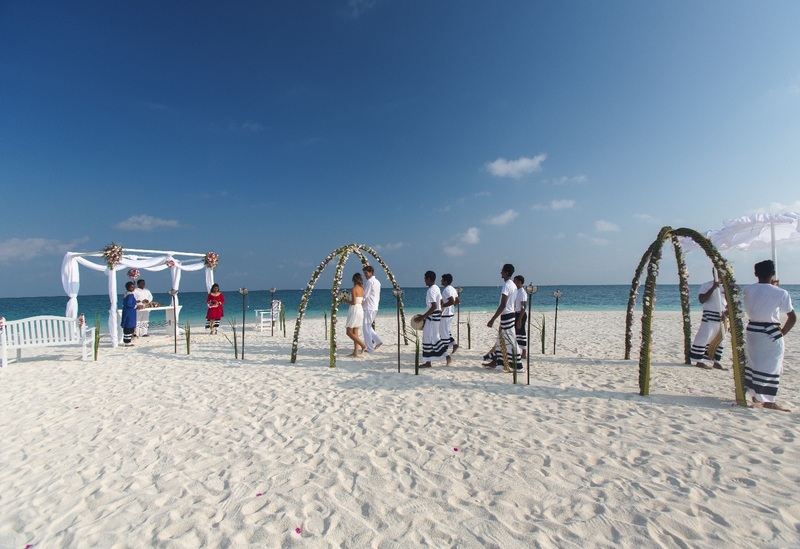 A traditional Bodu Beru procession will lead you to your location, and you’ll enjoy additional extras of Champagne and a wedding cake, as well as a beautiful bridal bouquet created from the island’s tropical flowers. We just wanted to say a huge Thank You for everything that you did for us for our Wedding in San Francisco. The hotel, ceremony, photos, venue and cake were just amazing. We could not have wished for a more perfect day, despite my feet hurting by the end of it! I can't thank you enough for organising all of this - it was simply PERFECT !! We have returned from our wedding in Jamaica and would like to thank you and your team for your assistance. Once again - Thank you all for making our wedding day.